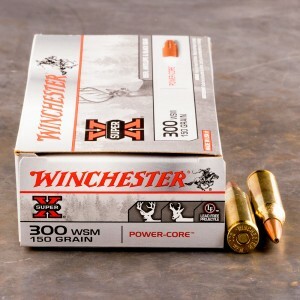 300 Winchester Short Magnum (WSM) ammo was introduced in 2001 and would become the first cartridge in Winchester’s short magnum line of bottlenecked centerfire rounds. 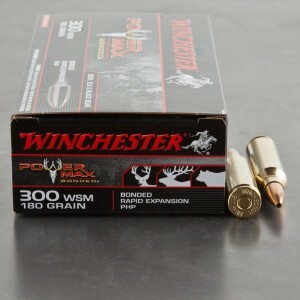 The 300 WSM is similar to it’s older brother the 300 Winchester magnum, but can be chambered in a short action rifle that is often a much lighter rifle. 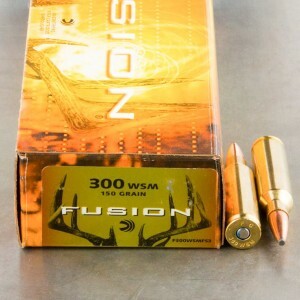 The weight of the 300 WSM is a distinct advantage when hunting in the high mountains or across the Texas hill country. 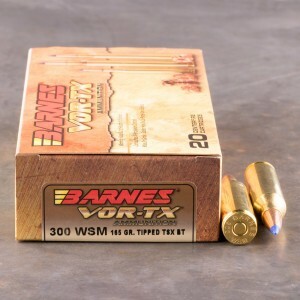 A lighter rifle is a blessing over rough territory, but big game needs a big round so the 300 WSM is an excellent compromise. 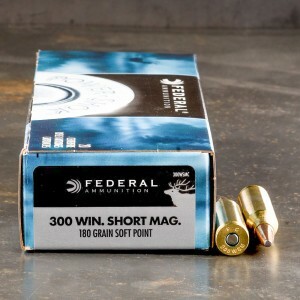 The 300 Winchester short mag can be an absolutely devastating round to medium and large game commonly hunted in North America. 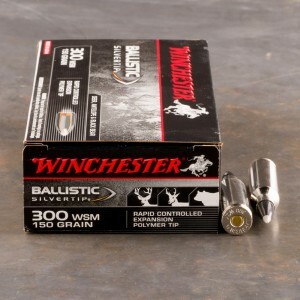 This is my go to ammo. 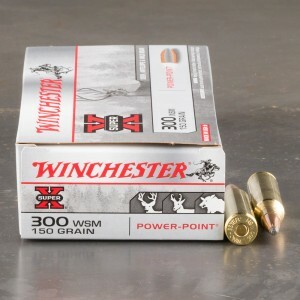 No matter what gun or caliber I buy this is the ammo I buy first. I have tried to buy other brands with no success. 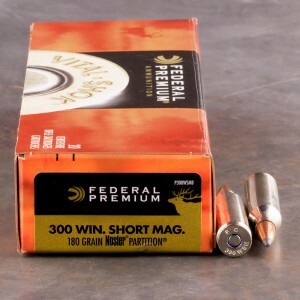 I shot 3 wild boars from 200 yards, 100 yards and 50 yards and none of them took a step after being hit by these bullets. I also shot a big whitetail buck quartering away through the lungs and it only took about 3 jumps and piled up. 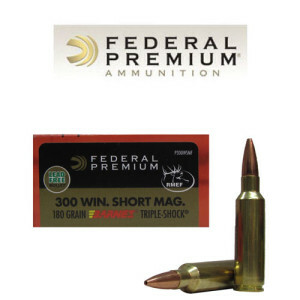 This ammo puts the game down quickly!